We’re Excited – 3 new live interviews! And we’re VERY excited about the three people we’ve got lined up to talk with over the next month. Here they are! 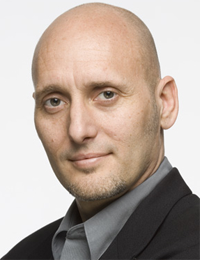 If by some bizarre chance you don’t know who David is (and if you don’t you really should) he is the author of the famous ‘Getting Things Done’, an international bestseller that helps people with their productivity and self-organization. David is currently implementing Holacracy in his own consulting organization, so we got in touch with him via our mutual friend Brian Robertson. David kindly agreed to take part in the series, and we’re very excited to bringing his diverse perspectives into the conversation. Brett cofounded Stagen with Rand (one of our previous speakers) and designed their 12 month Integral Leadership Program for CEOs. He’s been an entrepreneur for over 20 years and has clocked over 10,000 hours of coaching CEOs. I had the immense pleasure of working alongside Brett on the Integral Leadership Collaborative a few months ago and was floored by his skill and generosity. Having got to know him, I was keen to bring his leadership and coaching perspectives to bear on the Waking up the Workplace conversation. Derek was the founder of CD Baby (a company he started by mistake and then sold for $22 million), and the author of the Amazon bestseller ‘Anything You Want’, his story of building a business close to his heart. I read Derek’s book over the summer during a morning break from my work (it only takes about an hour to read). I was so utterly inspired and excited by it I immediately emailed Derek and begged him to be a part of the series, which he eventually agreed to. And then I posted a facebook message to all my friends offering to buy free copies for people (which I actually did too!). To take part in the dialogues, just make sure your on our mailing list by entering your email in the box in the top right and we’ll let you know how to join us. They’re free if you hadn’t realised! Great work Ewan! Thanks for continuing the conversation! You guys are doing a great job. Kudos! Ewan, good to hear you are going to Frankfurt for another "infusion" of Holacracy ;-). Incidentally, ZENTRUM FÜR INTEGRALE FUEHRUNG (Center for Integral Leadership) in Vienna will be hosting "Holacracy™: A Complete System for Evolutionary Organization" , a workshop with Brian Robertson on 27th February 2012. We are so excited about introducing this (r)evolutionary organization practice to the general public in Austria! Good to read – holacracy in Austria, wow. We already had some dialogues and learning tables in SoL Austria (the Society for Organisational Learning). Our last SoL Pow Wow was on Sociocracy and Holacracy. Maybe we can get into contact Karin? Awesome. I really look forward to these interviews. I've been following Brett Thomas work for a few years. They have a couple of great papers on their Stagen website. 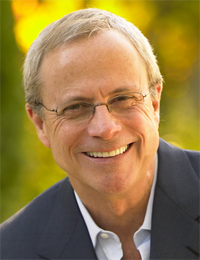 David Allen did an interview with Brian Robertson recently. I find it fascinating how Holacracy relates to GTD. I love the central idea of processing one single item/tension at a time that they both promote. Hopefully, I'll be able to make it to the Frankfurt training in February. 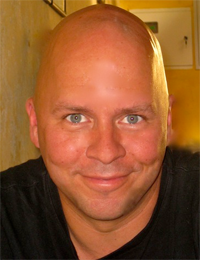 I'm not familiar with Derek Sivers and look forward to listening his perspective. Are these conversations recorded for those of us who cannot catch them live? Mostly student chose the account field and with the passage of time he became to a account manager as well as set the own future it is a good sign of brilliant students. Every origination is necessary to account manager and also paid a good salary package. A workable idea there for many people. Keep up the good work!!!! Really appreciate the efforts put in here. Thanks. I love the blog. Great post. Wow! I'd love to hear that. Thank you for sharing! Glad to hear the news! Thank you for sharing the post! I wish I saw this news sooner. I hope to see more posts from you. Thank you for sharing! ©2011 Waking Up the Workplace.